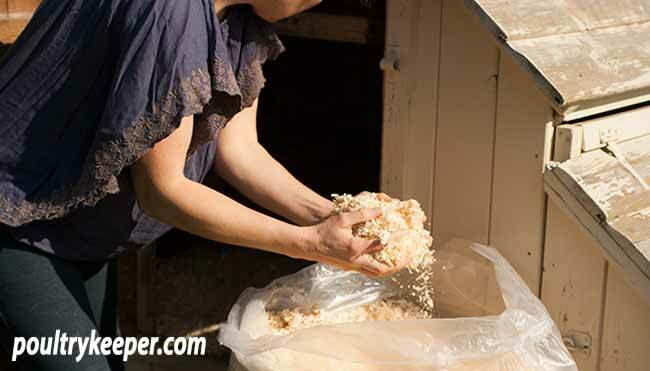 Home » Keeping Chickens » Housing Chickens » What is the Best Bedding Material? There are a number of choices when it comes to bedding for chickens, ducks and other poultry. The most obvious requirement is that it should be safe for your birds to use but there are other desirable qualities in bedding: it should not compact down and be absorbent for as long as possible. Damp bedding not only encourages bacteria, some of which can be harmful to poultry but also releases ammonia which damages the respiratory system. Here are the bedding materials we have tried, some have worked well and others not so well in the chicken house but every set-up is different and it can take a little trial and error to find suitable bedding for the size of your coop and the time you leave between cleaning your birds out. Hopefully this article will put you on the right track though. White wood shavings (dust extracted, not sawdust) is one of the most popular bedding materials for chickens, ducks and other poultry as they are relatively cheap, very absorbent and easy to use. Shavings keep smells down and reduce ammonia in the air from droppings that can cause respiratory damage and eye problems. Shavings also provide insulation from the cold ground during harsh winter weather. Be very careful when rearing young chicks or ducklings on wood shavings. Chicks will often peck at them until they know where to find their food whilst ducklings can be killed because they will eat wood shavings when they are young. If shavings are introduced after 4-6 weeks, they are less likely to eat them than when they are newly hatched – but care must be taken when introducing them. Shavings must not be derived from hardwood timber because there are certain fungi and moulds that can cause problems. Sawdust should also be avoided as the dust can cause respiratory problems. Wood shavings can usually be bought in a compressed ‘block’ from pet shops or on-line but do ensure they are ‘dust extracted’. Dusty wood shavings and inadequate ventilation in the hen-house will cause no end of problems. Pillow Wad Wood Shavings shavings are virtually dust free and sourced from managed forests. They mostly made up of Pine, which has the added benefit of being a natural antiseptic, and has a hygienic smell so you don’t get as many nasty odours). You can buy wood shavings online here. Straw can be used as a bedding material although it compacts easily and isn’t very absorbent so needs changing regularly. It is best to use straw in nest boxes and not for bedding. I would only consider using straw if I had a plentiful / cheap supply of it. Chopped straw is the most convenient to use. A major advantage is that it will compost quickly. Hay must not be used for bedding as it soon gets damp and can cause fungal spores to grow that can cause aspergillosis. This disease is contracted by inhalation when there is a high spore count in the air which can happen in a relatively short period of time given the right conditions. Nest boxes for hens are usually an exception with hay (although I wouldn’t really recommend it) but you must ensure they are kept clean and dry. Chopped cardboard is my personal favourite and a good choice for bedding material. It is more absorbent than shredded paper and doesn’t get as compacted as paper or straw. It will compost quickly and can then be dug into the ground as compost. It is dust free which is a big advantage over other bedding types. EcoBed is made from recycled cardboard (offcuts of recycled cardboard waste). It is absorbent and composts much faster than wood based bedding. The card isn’t coloured so there are no chemicals from the colourings going into your compost either. You can buy EcoBed online here. Shredded paper can be used as bedding material but again, isn’t a very good choice since it compacts easily and isn’t very absorbent. Depending on how it has been shredded and how thick it has been layered depends on how absorbent it is. It can work in nest boxes if it’s changed regularly before it compacts. I wouldn’t recommend shredded paper but if you have a free supply, it can be used with care in nest boxes but does need a regular top up and rarely stays in the nest boxes for long. Auboise is fast becoming one of the most popular beddings for poultry and other small animals. I like it because it lasts longer than wood shavings, but also rots down quickly on the compost heap, so in a small garden it can soon be put to good use and spread on the garden. Auboise is made from natural hemp and is dust-free. It is far more absorbent than straw and even wood shavings but the best part about it is that it has natural fly repellent qualities. You can buy Auboise online here. Easichick bedding was designed specifically for birds (poultry, pigeons, canaries and budgies). It is a wood-based product that is made from recycled wood and is biodegradable. Easichick is dust free, absorbent and free-draining but the best part is it doesn’t blow around like wood shavings do. Believe me on a windy day this is useful. The ‘wind tunnel effect’ between pop hole and door to the chicken coop when you open it can mean you’ll end up with most of your wood shavings blowing into the garden! Easichick is a natural dust and bacteria free recycled wood product that stays loose which keeps it aerated enabling the bedding to stay dry. It composts easily to spread on the garden. It is approved for use in organic farming systems. You can buy Easichick online here. BioDri is produced by the same people behind the well know Poultry Shield and Diatom products. 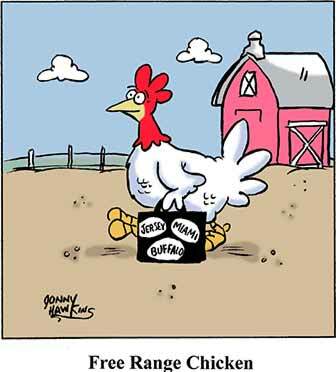 Whilst it isn’t exactly poultry bedding but is very useful to use along side your bedding. It can absorb moisture (many times its own weight) so prevents damp poultry bedding. Using BioDri not only helps to remove odours and harmful ammonia, but also helps prevent the spread of diseases, Coccidiosis, and salmonella being prime examples. Damp litter in warm weather provides the ideal conditions for harmful bacteria to multiply. BioDri contains BioVX, which is a DEFRA approved disinfectant. This is environmentally friendly and also harmless to your birds. 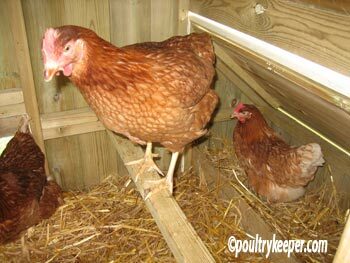 It is usually used on the floor of the coop before bedding is added to kill off bacteria. Hopefully this article will give you some ideas to find the best bedding material for your poultry. If you have any experience using any of these products or another that I might have missed, I’d love to hear from you below.